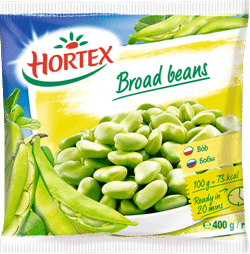 Cook the broad beans in salted water. Cool down and peel. Wrap the cheese in aluminum foil and put for 10 minutes into an up to 170 °C preheated oven. 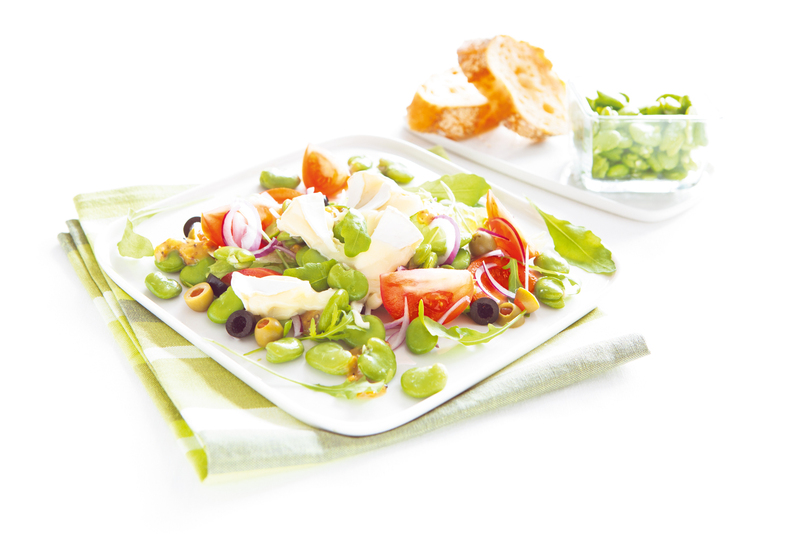 Spread arugula on plate, then place on it broad beans, sliced onions and tomatoes. Garnish with olives. Stir all sauce ingredients and drizzle over salad. Afterwards sprinkle with hot cheese pieces. Serve with a crispy baguette.